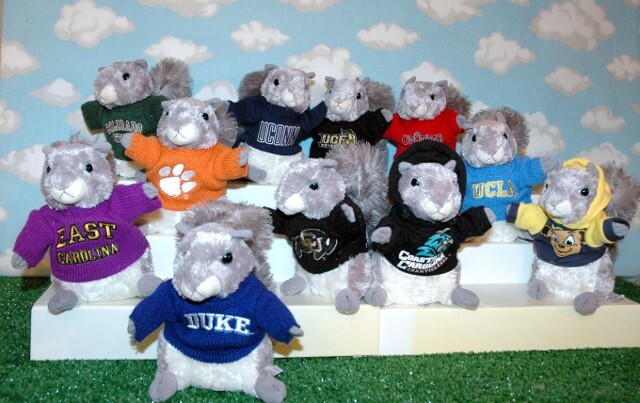 Help Sugar Bush decide which college to attend. 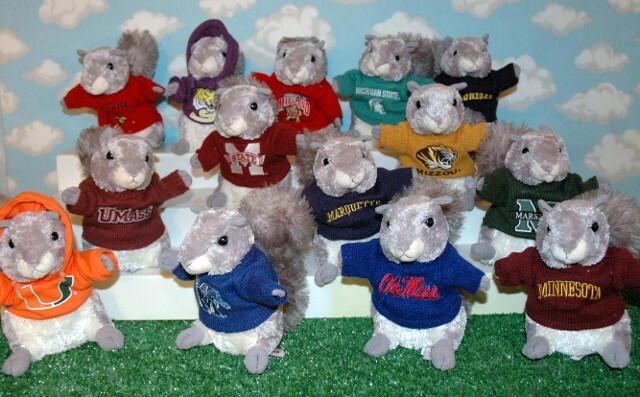 She's trying them all out. 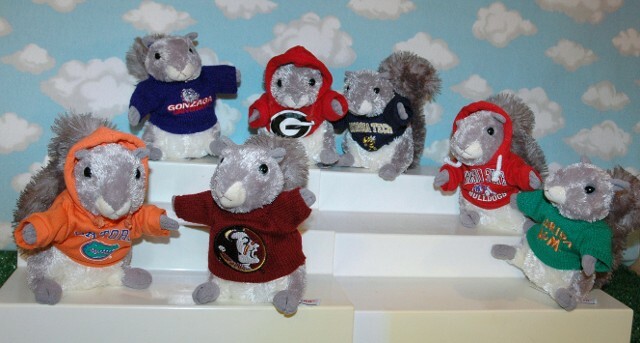 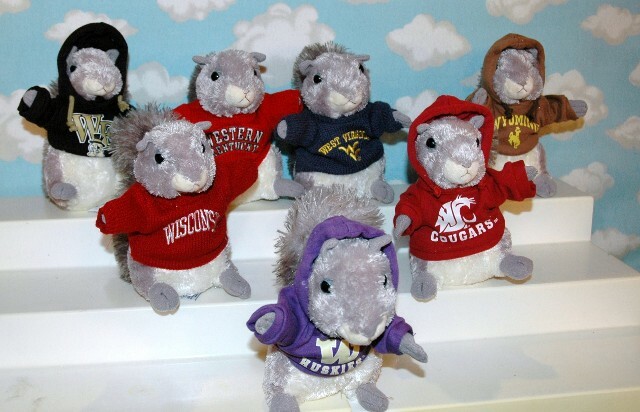 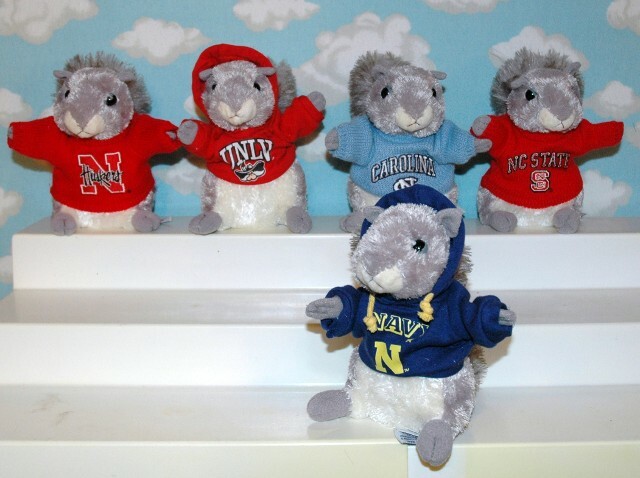 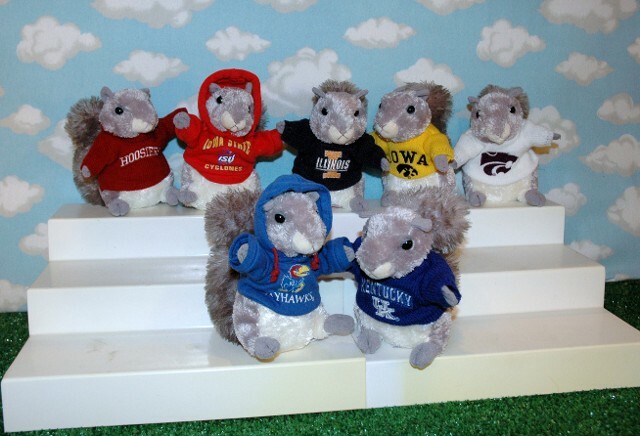 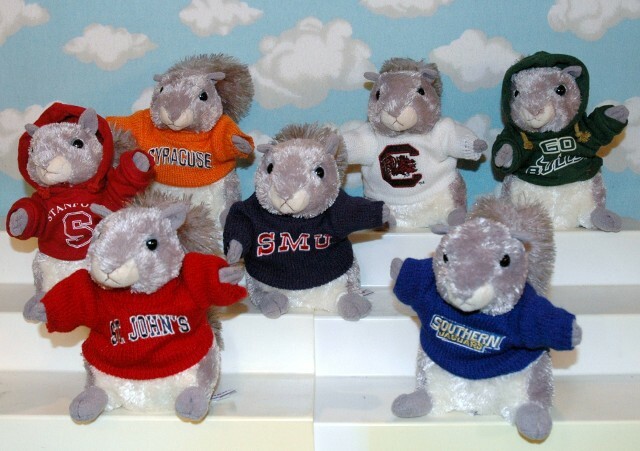 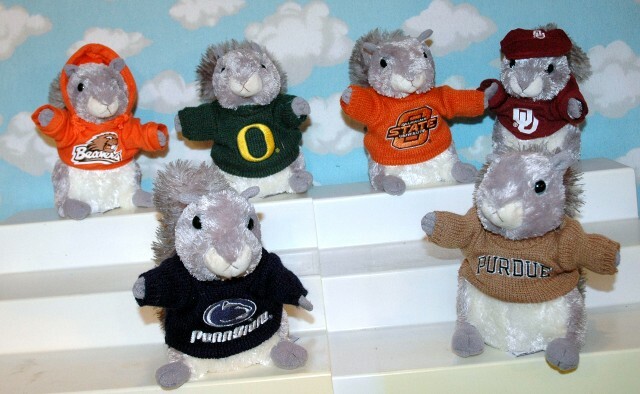 Get your very own Sugar Bush Squirrel stuffed animal in your own college outfit now for $19.99 plus s & h.
You must type in the name of your college in the paypal form for us to know which one to send to you. 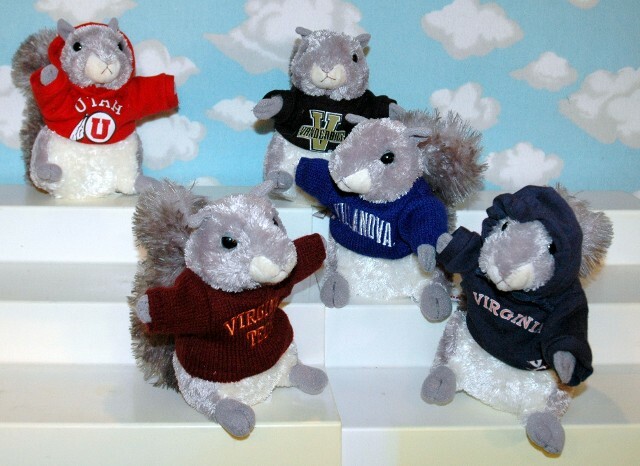 The only colleges available are the ones in the photos above with limited supplies. 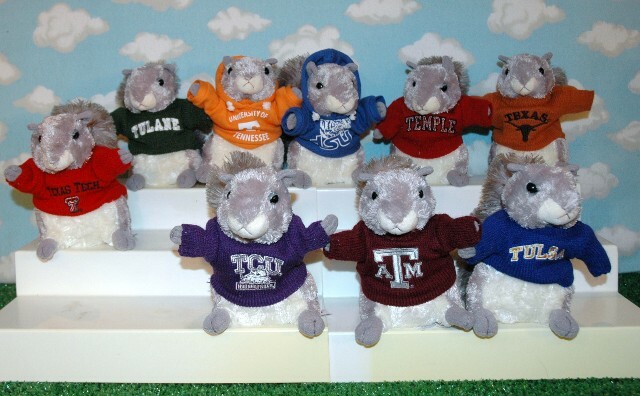 (Some have already sold out) If you order one that's sold out your money will be refunded promptly. 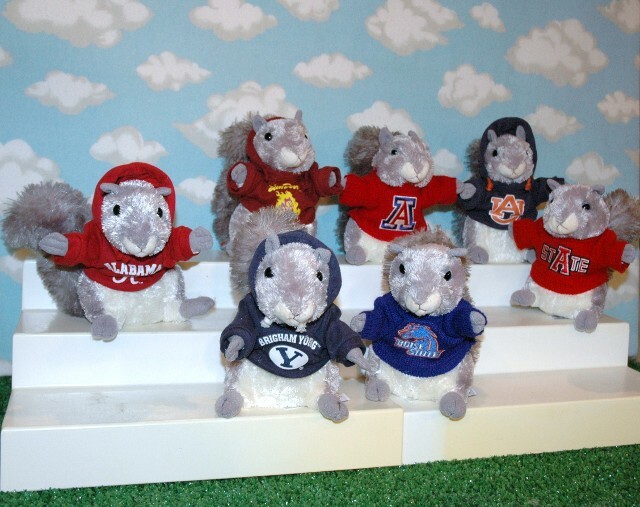 Thanks, everybody!